Did you watch the Golden Globes? 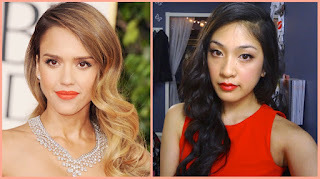 My favorite dress & look was on the beautiful Jessica Alba. 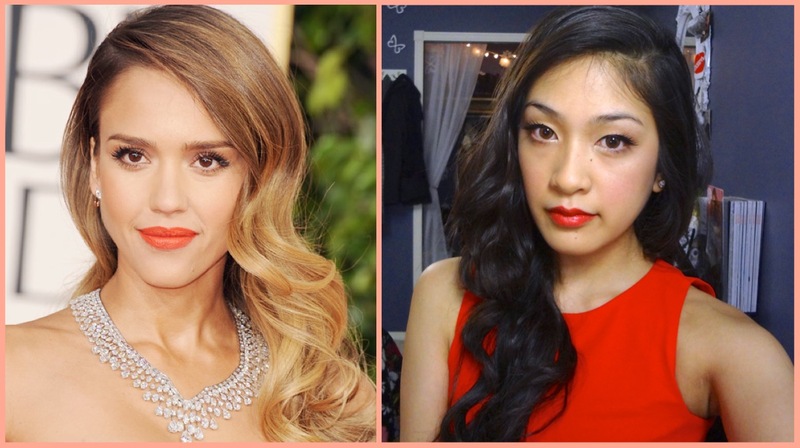 I was asked to do a Red Carpet makeup look and I did not hesitate to give her look a try. I actually used makeup and clothes I already had thus my orange lip is a tad darker than her's and my dress isn't exactly strapless, however it seems the lipstick matches my dress exactly! Also, I have not parted my hair is forever! It was odd getting use to it, but I actually do not seem to mind it anymore. So...what do you think? The tutorial will be posted in the Video section on this blog. I created the curls using a 1" Remington curling wand & lots of hair spray. Duck face to end the post, why not?! The Sony Cyber Shot DSC-WX9 16.2 Mega Pixels. The color I got it in, was red :) because I never owned a red camera before.